Quickly cleans off wax, grease, oil, old adhesive, road tar, silicone and other sticky residues. Will not dissolve or harm automotive paint that has been properly aged. 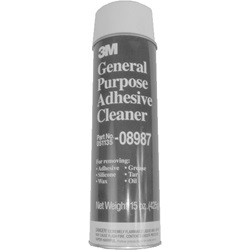 Also suitable for use on vinyl or glass surfaces. 15 oz. aerosol.